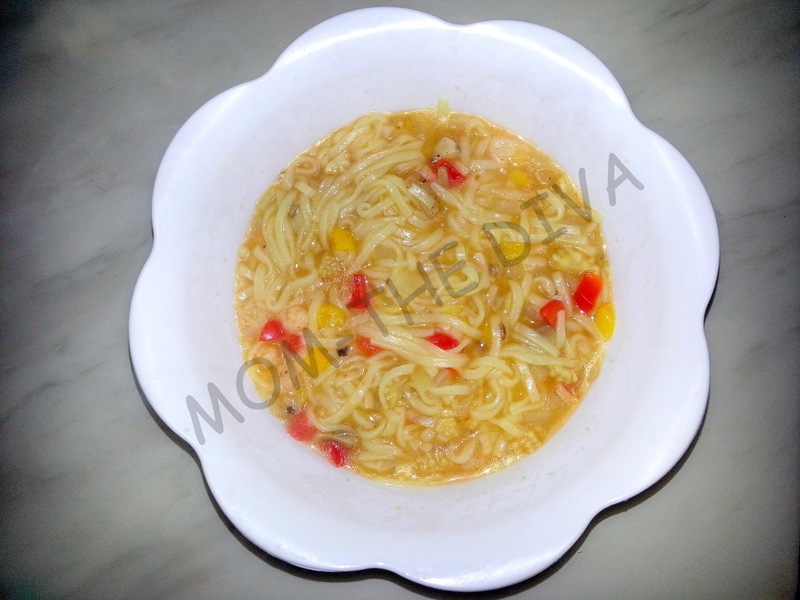 This is a family dish, which your toddler can eat as well with some variation in spice levels if required. Can be for Lunch, supper or dinner. Vegetable Oil/ Olive Oil- 1 Tsp. 1. 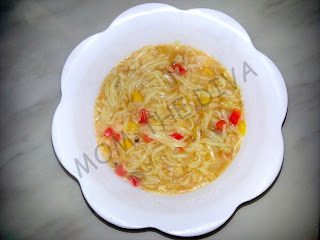 Boil the Egg Noodles with water, salt and oil to al dante. Meanwhile, cut and chop vegetables. 2. Add the Bell Peppers, Mushrooms, Onion and Shrimp along with black pepper and let it simmer to your preferred consistency. 3. Serve with Garlic Bread or as it is. 1. You can remove any ingredient you don't like. 2. May add more veggies like carrot, peas, broccoli or boiled and mashed egg. 3. Can substitute water with vegetable or chicken stock. 4. Can substitute Shrimp with fish, minced chicken or any other meat. Hope you enjoy this with your family and let me know how it turns out! Style Diva- What's your Style? Style Diva- Be Stylish not a Style Victim!